Cherryoke | Zonyxa. Unique and contemporary jewellery for Work. Love. Play. 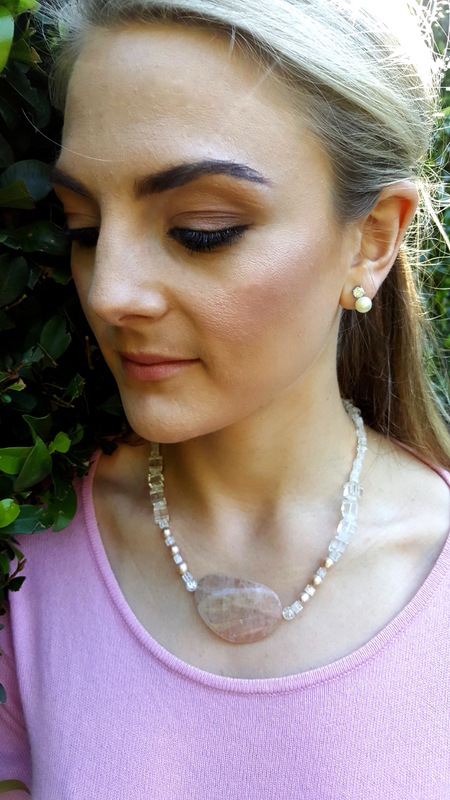 This simple necklace projects harmony thanks to its gentle combination of clear crystal cubes and roundels complimented by tiny frosty cubes of ice quartz and beautiful pink freshwater pearls. 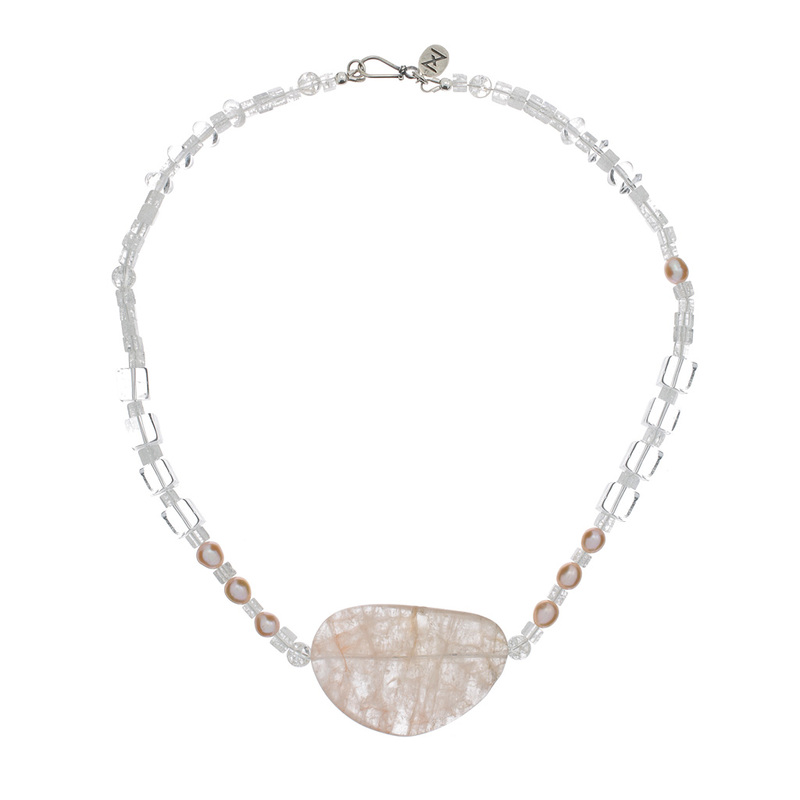 Accented with a tactile irregular pink-tinged cherry quartz oval as a pendant, this piece is a delicate yet powerful accessory.